and Wellness Center for over 16 years. Voted Madison’s Favorite Doctor by Isthmus magazine readers for 2012, 2014 and 2015 now in Milwaukee! An acupuncture doctor for over 30 years, offering a broad range of alternative solutions for all health and pain related issues. Acupuncture is one of the oldest, most common and dependable medical therapies used in the world. It is by nature simple, safe and effective health care. 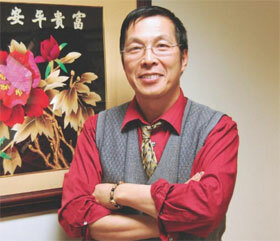 Dr. XiPing Zhou, MDOM, L.Ac., an acupuncture doctor for over 30 years. “Many Thanks For helping me function at a higher level! In 1993, Chinese doctor Xiping Zhou came to the U.S. with minimal knowledge of English and $400. Today, with over 25 years of practice, Zhou has treated thousands of patients with physical and psychological illnesses through his integrated approach to acupuncture, herbal medicine and …. Get 15% OFF for your first visit! Dr. Xiping Zhou, MDOM, CMT, L.Ac, is an expert in traditional Chinese medical acupuncture who brings to the table (literally) more than a quarter-century of experience in the Chinese healing arts as a practitioner and a teacher of acupuncture, TaiChi, QiGong. He is specializing in pain management, women’s health, Body-Mind integration and stroke rehabilitation. Dr. Zhou imparts his vast knowledge of health and wellness to each patient, giving them tools to become their own health and wellness advocate. Dr. Zhou combines acupuncture, herbal medicine and medical manual therapy to help his clients achieve maximum physical and medical wellness in all areas of their life.